Herbal medicine is people’s medicine! Medicine is all around us. This workshop will focus on the medicinal use of home remedies. Participants will make medicine using common and accessible spices and herbs that support healing and replenishment. The founder and owner of Sacred Vibes Healing and the Sacred Vibes Apothecary in Brooklyn, Karen Rose is trained in Eastern and Western herbal medicine and is personally dedicated to empowering individuals to make informed decisions regarding their health and lives. For this in-depth course at the New Museum, she will draw from over fifteen years of experience as a community, clinical, and formulary master herbalist, and will focus on how women may live inspired lives using the energies of plants. 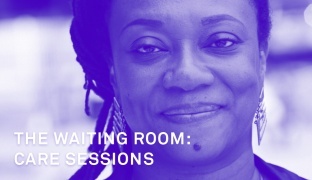 This course is offered in conjunction with “Simone Leigh: The Waiting Room.” To attend a session, participants must sign up in the New Museum Lobby on the day of the class. Admission is available on a first-come, first-served basis.